The New York Mets promoted right-hander Drew Gagnon from Triple-A Las Vegas to start Tuesday night’s game against Philadelphia. NEW YORK — The New York Mets promoted right-hander Drew Gagnon from Triple-A Las Vegas to start Tuesday night’s game against Philadelphia. The 28-year-old Gagnon will be making his major league debut. 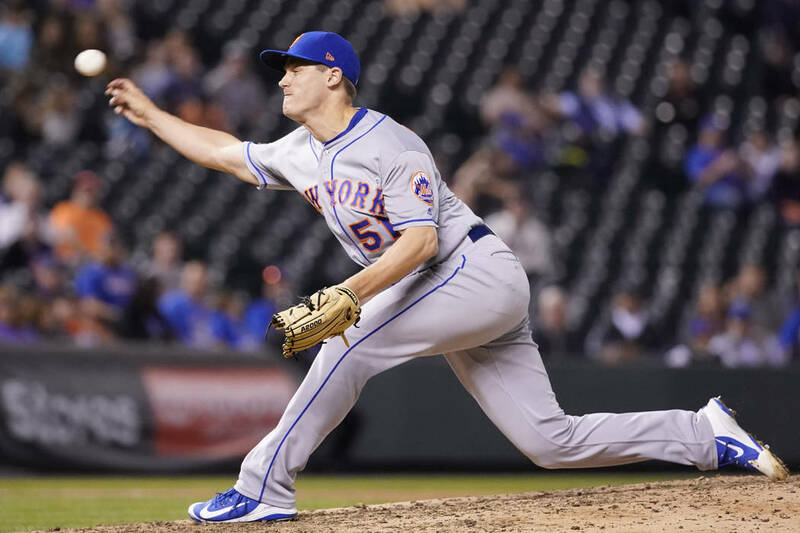 A veteran of eight minor league seasons, Gagnon was 1-4 with a 4.67 ERA in 17 starts for the 51s.Gagnon signed with the Mets as a minor league free agent in December. He expects his parents, fiancee and three sisters to be in attendance. To make room, New York optioned right-hander Paul Sewald to Triple-A. Sewald is 0-4 with a 5.05 ERA in 28 relief appearances for the Mets this season. New York also returned right-hander Jacob Rhame to Las Vegas. Rhame served as the 26th man for Monday’s doubleheader. Phillies starter Enyel De Los Santos will also be making his first big-league appearance.